AS it is the end of March, you can see, I am about ready for winter to end. We do not usually get to read all of the Journal entries during our busy months as we prefer to hear your stories. Last August, we heard this story from our guest, his name will be protected, but he also wrote a great story in the journal which I have to share. He must be a writer as it is very entertaining. It is a bit long but so worth the time. I am sorry I did not read it in August but very glad I did now. PLUS, he offers a lesson and something for all of you to keep in mind as the 2018 ATV season begins. Enjoy! If you are driving by the clubhouse on ATV tires and you see a mud-running trench, just drive on by. Don’t be impulsive! But, if you are…and you find yourself fatefully shutting off the key with your muffler submerged, grab a five dollar bill from your wallet for your hitch back into town. Ensure you face traffic, smile and hold that five over your head so your ride can clearly see it, all the while knowing that you and your mud soaked wife are going to stink up your good Samaritan’s car for the next four miles. Once you get back to the puzzle palace (Jester) don’t bother cleaning up and changing. Just hop in the Duramax and head up to the clubhouse, drop the trailer, and lock her in 4X4 Low. Stretch out your 20’ tow straps and hop into the waist deep stench muck and then go armpit deep to dig the mud away from your receiver hitch tow shackle., Try to keep you face above water. Here is the fun part: tell your wife she has to hop in the wheeler, submerging herself up to her fun-bags and steer while you pull her out. *WARNING* Wives really complain at this point (loudly I might add), especially once the water starts draining up on dry land and the frogs start hopping about. At this point, you will want to unhook your spare tire and yank off the rear left that you tore the valve stem off in your panic R>F>R>F, etc shifting. Now you will want to unhook the tow straps from both machines and reconfigure to the trailer ball for the D-Max and the winch hook of your formerly submerged buggy. You will be tempted by the mayhem-loving devil on your shoulder to turn the key. “It will probably start” he says, but unless your motor needs replacing, DON’T LISTEN TO HIM! Keep your hands far away from that connecting rod-bending key! Tow over to trailer and unhook, drop rear ramp and front ramp, then reposition truck facing the front of the trailer and send town straps thru. Trailer wheel chocks are a must. Hook on and have wifey steer again * more grumbling*. Put the big diesel in reverse and watch your 18’ enclosed trailer spring into the full upright position as you tow your two favorite things (for those of you who are slow on the uptake, that‘d be the wife and buggy) on board. Do not fear. Your right foot, at this point, is directly related to how fast your trailer tongue comes back down to Terra fir-ma. When he says “Clubhouse?” Hang your head in shame, then nod in the affirmative. When he says “I need to put signs up there.” Nod again In the north south direction and you may want to add a “please” because it sounds like there are countless others who have succumb to impassivity in that neighborhood. When he says “I don’t know if I can get to it, I only have one guy on tomorrow” Tell him your wife is really upset and that it’s her birthday tomorrow (truth) and she only wants to ride. I have not entered guest journal quotes monthly like I used to but sometimes, one entry will catch my eye. This is part of what Cathy and Dana said this weekend after being here to bird hunt. I realize that it is not [i]quite[/i] January but the family who left today may have stayed into January had the cabin been available. They were just lovely and I wanted to share their New Year experience with you. We enjoyed seeing the kids sledding down the hill, even though only about an inch of snow on the ground and their excitement to walk on a frozen lake. SO thank you family for having such a great time in the Northeast and we hope your next visit, we have more snow. We just arrived to a cozy warm cabin (it is 11 degrees outside). My family (hubby and 4 children) and I came all the way from Orlando Florida (75 degrees) to see some snow. We [u]were not[/u] disappointed. -On our 3rd day we drove to Greenville to look for Moose & see the B-52 crash site. The road up the mountain was a little scary but we enjoyed the trip. No Moose 🙁 We ate lunch at Auntie Ms & the burgers were great. Note: Cash only dinner was at BigWood Steakhouse. Amazing. [u]Tuesday[/u]-7am 2 degrees & snowing. Snowed all day about 6 inches in town. Just what the trails needed. Another 60 miles this afternoon. 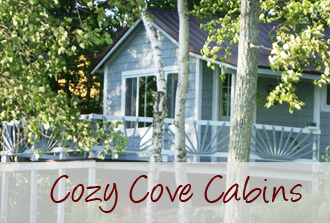 This is our 2nd stay at Cozy Cove but our 1st in the Eagles Nest. This cabin is PERFECT:! : ❗ Greg and the kiddos took a walk across the ice. Checked our some of the neighbors ice traps. They even got to see someone catch a fish. The sun is shining and it should be a wonderful day. First day we went 4 wheeling to Pittston Farm and the some- did 120 miles-awesome ride. Next day girls were beat so guys went out and us girls hiked Moxie Falls which was beautiful, then went out on paddle boats then the kayaks. Gorgeous day. Also sat up at Bald Mtn for 2.5 hours waiting to see a moose.